Aigle, Denise. The Mongol Empire Between Myth and Reality: Studies in Anthropological History. Brill Academic Pub, 2014. Benjamin, Sandra. Sicily: Three Thousand Years of Human History. Steerforth Press, 2010. Grousset, René. The Empire of the Steppes: A History of Central Asia, translated by Naomi Walford. Rutgers, 2002. 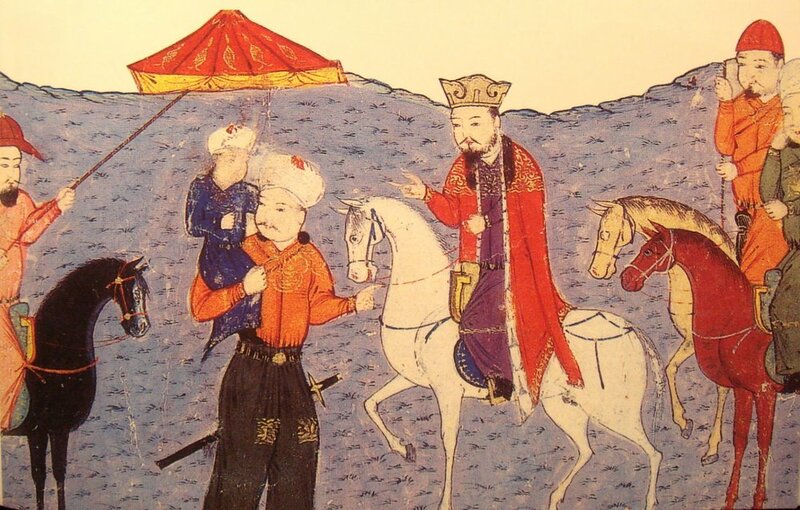 Pfeiffer, Judith, "Reflections on a 'Double Rapprochement': Conversion to Islam among the Mongol Elite during the Early Ilkhanate," in Beyond the Legacy of Genghis Khan, edited by Linda Komaroff. Brill Academic Pub, 2006. Rose, Susan. Medieval Naval Warfare, 1000-1500. Routledge, 2002.